The step-brother of dead Georgian tycoon Badri Patarkatsishvili claims exiled Russian billionaire Boris Berezovsky was involved. The allegation from Joseph Kay was published by Russian newspaper Gazeta. Kay is the self-proclaimed executor of Patarkatsishvili’s last will. Berezovsky is a ‘demon’, according to Kay, who described the role he played in the life of Patarkatsishvili. Kay claims that Berezovsky planned a return to Russian politics and considered Georgia a platform for his comeback. Kay also claimed that Berezovsky convinced Patarkatsishvili to become an opposition leader and use his TV channel Imedi against President Mikhail Saakasvili. 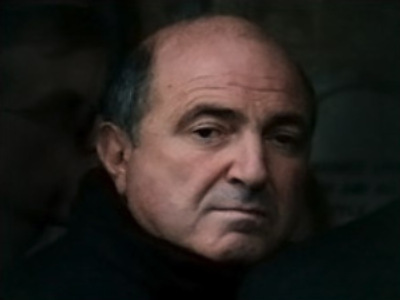 Boris Berezovsky refrained from commenting for the newspaper on the allegations. “I don’t care what this crook Joseph Kay says,” he stated. Joseph Kay announced Badri Patarkatsishvili appointed him the executor of his will in January. The will was never made public. Patarkatsishvili’s widow Irina has filed a lawsuit against Kay and his lawyer Emmanuil Zeltser. She accused them of using forged documents and trying to embezzle his wealth. Zeltser is now under arrest in Belorussia. He is charged with forgery and drug trafficking. Kay claims Berezovsky is behind the charges.